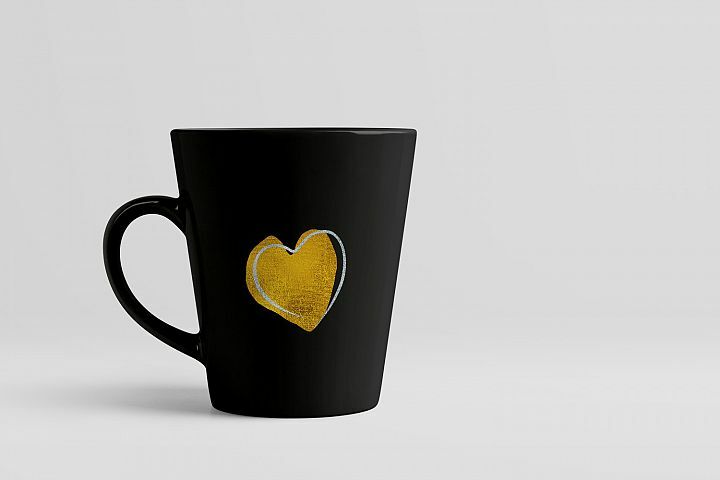 If you are looking for a tool kit to decorate your designs with a glimmering realistic hot stamp effect in one-click using ready-made Photoshop Layer Styles, don’t look any further. This free toolkit is created by potpourri. 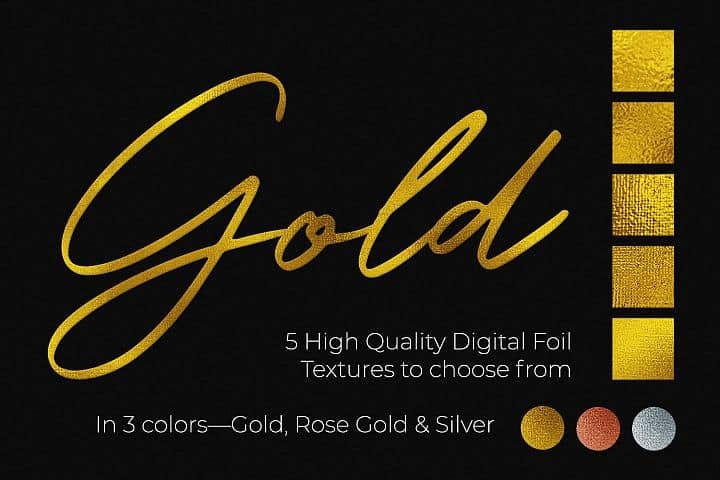 This toolkit contains 5 unique seamless foil textures, available in 3 colors—Gold, Rose Gold & Silver. 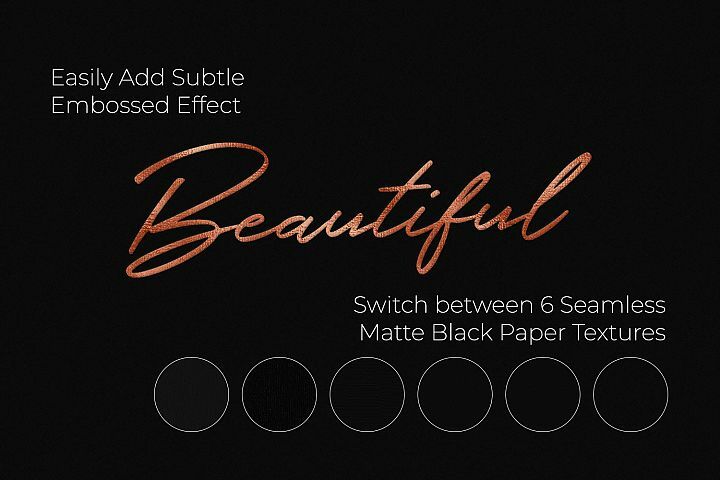 Included are also 6 seamless matte black paper textures. 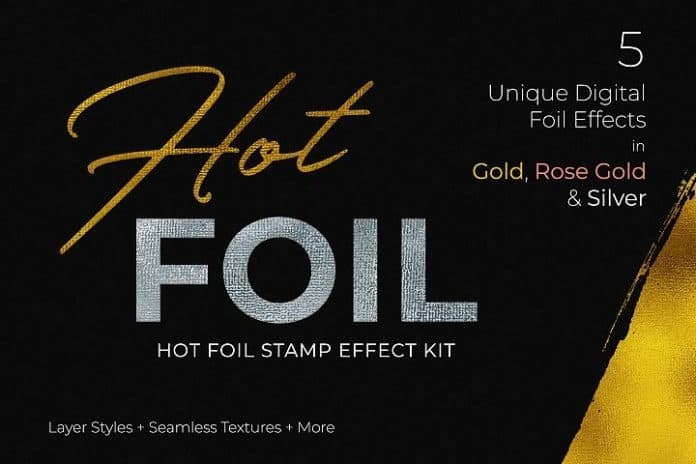 The combination of the black paper textures and the glimmering foil will help you create a sophisticated style. 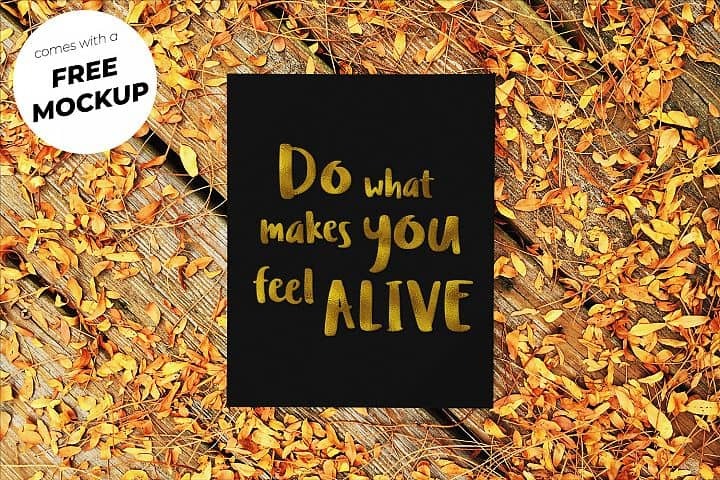 Included in the pack is a hot foil stamp on paper mockup with a beautiful fall-inspired background. The kit also contains prepared Photoshop Actions that will generate base Smart PSD’s for you if you love ’em but not a big fan of the bloat. 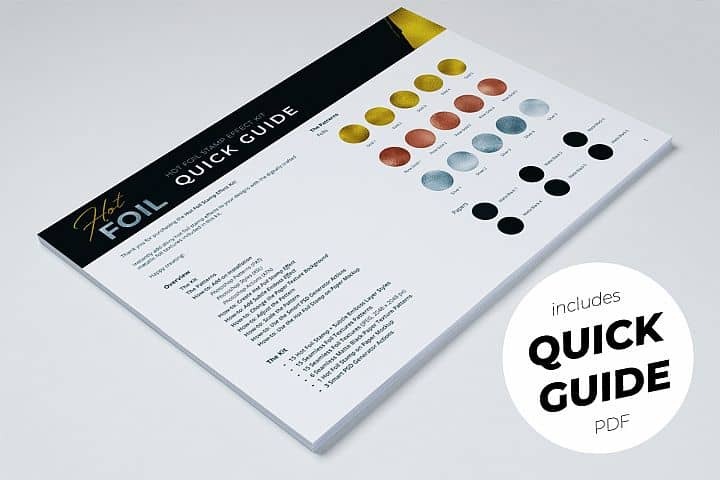 Last, but not least, a so-thoughtfully-created Quick Guide PDF is included in the pack to guide you in using the kit in case you need a little help. So let’s take a look what’s inside. Download this free Photoshop Toolkit now at designbundles.net.